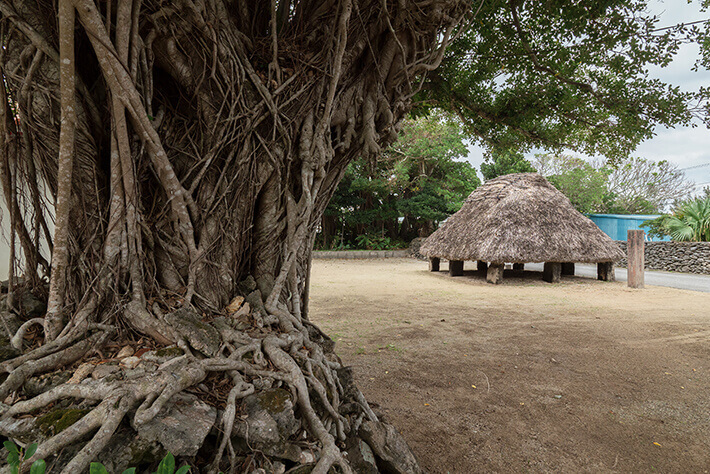 Iheya Island is located approximately 80 minutes by ferry from Unten Port in Nakijin Village, in the northern area of Okinawa. 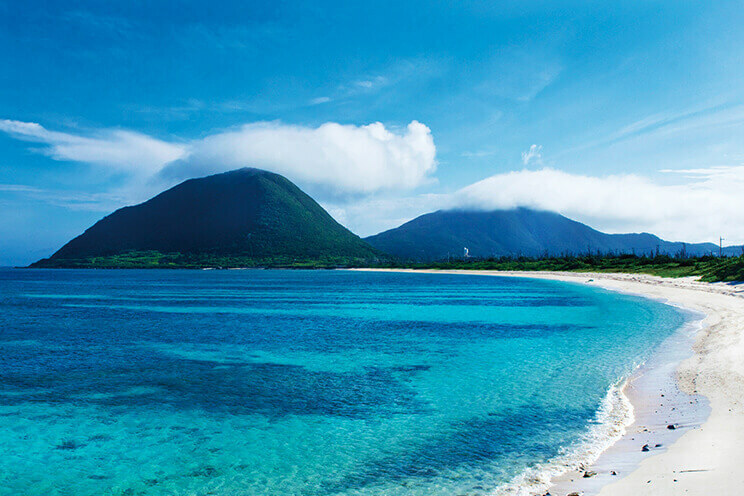 It boasts the most transparent waters within Okinawa Prefecture and a stunningly beautiful night sky. Its beauty at night is such that on the island is held Japan’s very first officially certified night marathon, Iheya Moonlight Marathon.The nature of the island is not the only thing that remains untouched. 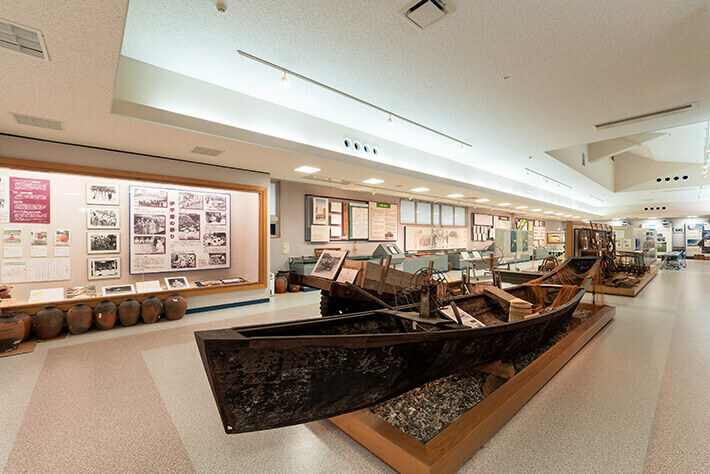 With the heart of hospitality “Iheya Juutee” handed down over generations, the warmth of the locals remains unchanged as the original landscape of Okinawa. Fresh fish and shellfish caught off the coast, along with rice harvested twice a year, add to the appeal of the delicious island gourmet. 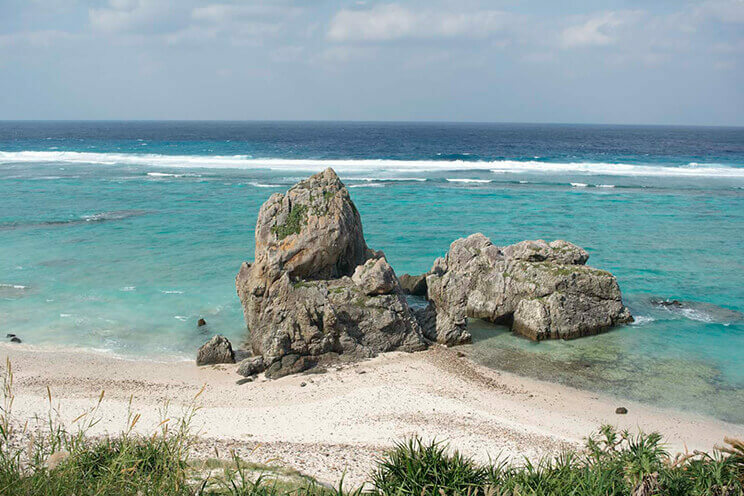 At any location, from the beach to the observatory, the blue gradation of the sea is beautiful on Iheya Island. There are many pieces of coral and seashells on the sandy beach. 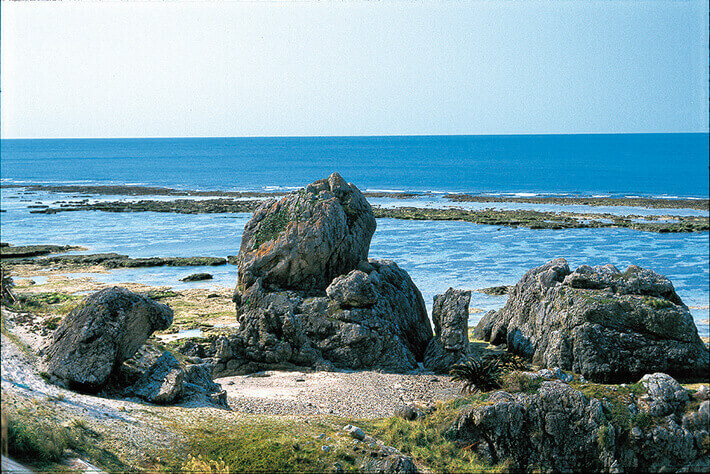 There are beachrocks, unique rocks formed by the hardening of lime, and other rocks both large and small up and down the coastline, a sight that one will never tire of.In addition, you can see other unusual terrain, including the “Fukiage Sakyu,” where sand blown up from the sea accumulates on the slope of the mountain, and a sandspit named “Sashi,” where sea sand has been carried and deposited by coastal flow. To the south of Iheya Island, before crossing over to Noho Island, there is Yonezaki Beach. Your feet will sink in the soft white sand as you walk along the beach. The sea is shallow off the shore and emanates the emerald green shine, captivating you with its intense beauty. You can see both the sunrise and the sunset on both sides of the beach, which is thinly extended to the south end of the island.You can stay at the nearby campground and enjoy the quiet beach as it basks in the colors of the sun. 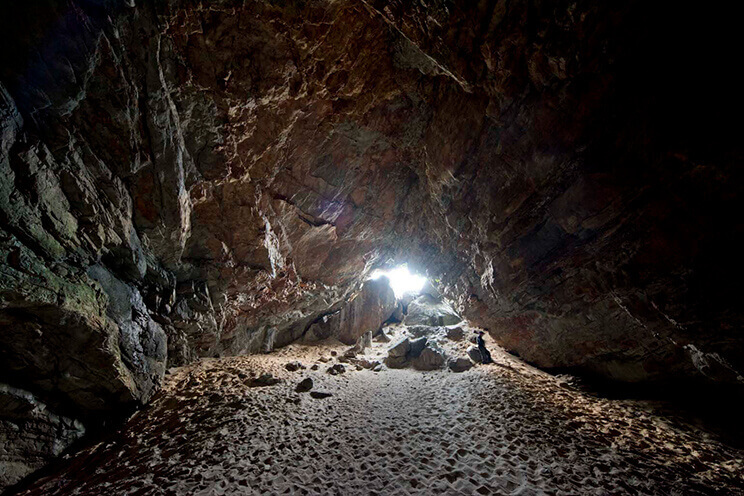 Kumaya Cave of Iheya Island is said to be the southernmost place related the legend of Amano-Iwato, among the many found throughout the country. 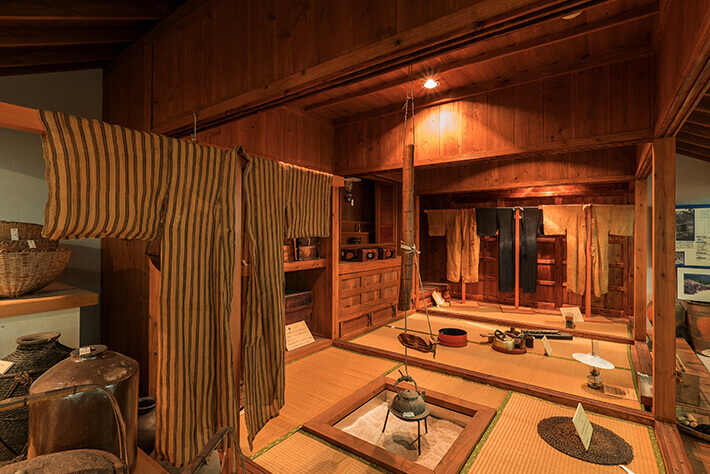 A nationally recognized scholar of the Edo Period, Teikan Fujii is said to have identified this cave, and researchers still visit to this day. Located to the north of the island, the cave is formed of quartzite (chert) rather than limestone, and has been designated as a Natural Monument of Okinawa Prefecture.There is a gap at the entrance where people can pass through, revealing a surprisingly wide space throughout the cave.The sanctuary in the rear of the cave carries a mysterious atmosphere that seems to separate it from the outside world.